Body Symmetry is a Pilates studio in Maine, like no other! Our goal is to provide our clients with the highest quality Pilates and Fitness programs to balance their bodies and their minds. We care about our clients. Through our knowledge and enthusiasm we strive to educate, inspire, and motivate them to embrace a healthy lifestyle. 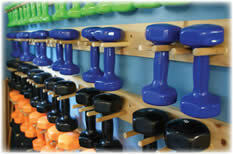 Body Symmetry is the largest most fully equipped Pilates studio in Midcoast Maine. Our new naturally lit space provides a comfortable yet energetic atmosphere in a non-intimidating setting. We are a full service pilates studio providing not only extensive programming in classes for matwork, reformer and stability chair, but also private and semi-private sessions on the Cadillac and Ladder Barrel. 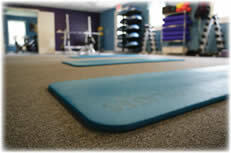 We proudly offer only STOTT PILATES state of the art equipment. Whether to rehab from an injury, improve your posture, or to just focus on being strong & healthy, our studio and staff will provide a positive experience with positive results. We are also an Official SPINNING® Facility, offering classes on the elite NXT Spinners! in 2007 we raised $1200 for the Salvation Army, exceeding our donation in 2005, and 2006!! 2008 we raised $525 for the Salvation Army, and $560 for the LaRomana, Dominican Republic Mission Trip, for $1085 total!!!! Thank you to all who helped with both of these wonderful charities! Dec. 2009 despite the economy our clients banded together yet again....we raised $1000!! Yahoo! Dec. 2010 we raised $1025 - Fabulous!! Dec. 2011: Our best yet - we raised $1300 !!! Dec 2012: we raised $1155 - over $8000 since we started this tradition. Woo Hoo! Dec 2014: we raised money for the Midcoast Hunger Prevention Program for their Backpack program to help feed children during the summer and on weekends. We also gathered over 1000lbs of food for the adult program. Our clients are so generous in their support of this great community outreach! Dec 2015: We collected 133 lbs of peanut butter (liquid gold) and raised $150 for the MCHPP backpack program. Dec 2016: We collected 113 lbs of peanut butter (more liquid gold!) and raised $430 for the MCHPP backpack program - enough to sponsor 2 children. So very awesome!! Nov/Dec 2017: We raised over $1000 to benefit 3 local charities! Nov 11 we raised $250 for Embrace A Vet in memory of Joy Johnson. Nov 25 our Turkey Blaster class raised $275 for the Coastal Humane Society in memory of Marcy Clark. During our week of charity in Dec we raised $400 for the BackPack program, and over 100 lbs of peanut butter for the MCHPP. Nov/Dec 2018: We raised over $1000 to benefit 2 local charities! Nov 10 we exceeded last year and raised $265 for Embrace A Vet. During our Charity Class Week we raised $745 for the BackPack program, and 171.6lbs of peanut butter for MCHPP. Very successful for 2 very worthy charities. Martha Kittle, owner: A Brunswick native, Martha has been teaching fitness since 1984 (30+ yrs!). Martha has been studying Pilates since 2001, earned her full certification (level 1 & 2) in September 2004 and soon after became certified as an Instructor Trainer for STOTT Pilates®. (the only pilates instructor in Maine to earn this status!) She has trained at both the STOTT International Training Center in Toronto, and at Northeast Pilates Certification Center in Massachusetts. Kittle holds national certifications for both group fitness and personal trainer through American Council on Exercise (ACE), is a TRX Qualified Instructor (Oct 2010) and is also a certified STAR LEVEL 2 SPINNING® instructor. April 2014 she earned her FMSC (Functional Movement Systems Certification). Because of her experience and expertise she has a strong reputation with local rehab specialists for her skillset. Her cycling adventures include Trek Across Maine (1997 & 1998), Dempsey Challenge 50 miles (2009, 2010) and many of the Maine Bike Coalition sponsored rides. She has a love for learning and has taken several courses in anatomy and is continually staying updated of the latest research in the fitness industry. With a strong desire to help clients improve their fitness levels, she strives to make a healthy lifestyle enjoyable. Let her knowledge, energy and enthusiasm inspire you to reach your goals! Ginny Machon: Ginny is SPINNING® certified ( 2008) and in 2010 earned her STAR LEVEL 2 status!!. She is an avid runner and biker, and participates in local 5K races. 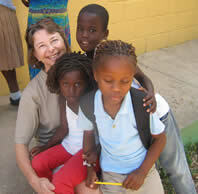 She has completed the Dempsey Challenge 50 mile bike ride in 2009 and 2010. Her boundless energy and contagious smile is sure to keep you motivated! Sheryl Woodworth: Sheryl has been active in cycling for many years, and participates yearly in a 500 mile ride to raise money and awareness for Habitat for Humanity. She became very active in triathlons after successful treatment for late stage cancer convinced her to get off the couch and on the road! She has participated at all levels, completing many sprint and Olympic distances as well as four half Ironman distances. She has come within 11 miles of completing an Ironman distance triathlon! Sheryl's love of cycling is rooted in the enjoyment of the outdoors and tremendous desire to overcome obstacles in achieving goals, moving from, "I could never do that," to "I did it!! ", including a loss of over 30 lbs in the past year. Sheryl combines her love of cycling with her desire to encourage and motivate others by teaching Spinning classes here at Body Symmetry! We are a GREEN facility! We recycle, use a compost bin, use "green" cleaning products as much as possible, support products Made in the USA, and Buy Local. We made great strides in 2010 as we discontinued our retail clothing (lululemon) because it is made in China. We have expanded our retail line in 2011 to carrying only products made in USA!